Your relocation agent can also tell you more about it but let’s cover the details. The price: 80 pounds per day. You can buy a London Pass for 1, 2, 3, or 6 days, each day being the same price. What do you get? Well that’s the great thing, and it’s great if you are already living here and want to get to know all the history you can in a short amount of time. All are terrific attractions and “Must See’s” when moving here. Many are located close together so you can hit a few a day. There’s some really great features that come with a London Pass, but my personal favorite? NO WAITING. That’s right, if you have a Pass you skip all the lines (queues) which is particularly of benefit at say Towner of London and Windsor Castle, especially in the summer now that the tourist season is in full swing. So on top of the free admission to the 55 top attractions your purchase comes with a 120+ page Guidebook that provides information and directions to each place included. The guide book does advertise that it includes discounts that added tours or attractions may have, as well as discounts on food. They have the Travelcard option, which covers unlimited travel on all public transport in London on the days you use your card. The card has a smart chip inside, much like an Oyster card (see previous posts on this must have while living in London), so it’s activated the first time you use it. They read it in a machine and it records that as day 1, regardless of what time of day you use it, so best to get out early to get the most of it. 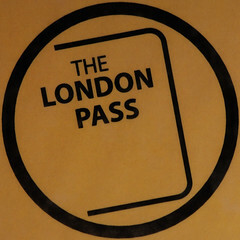 There’s a two minute video on the London Pass that explains it and the same page has a link for all the 55 attractions and museums it covers. Over the rest of the summer we’ll highlight many of the attractions so you who are relocating, and those of you enjoying your summer here who have already relocated will have a great list of places to visit. Once your move is over and you become an official resident you really will want to know more about the history of the UK. Life in England was pretty difficult at times and it may help you understand better the outlook of London natives. You’ll want to immerse yourself in the culture to truly feel at home here after your relocation UK.